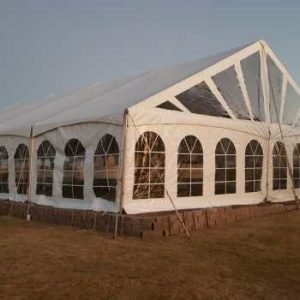 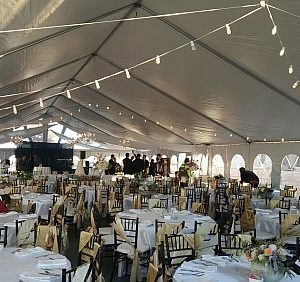 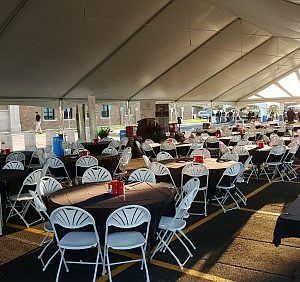 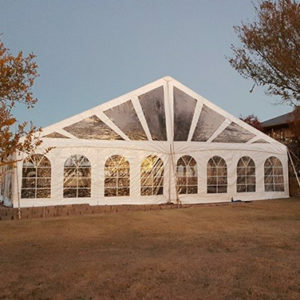 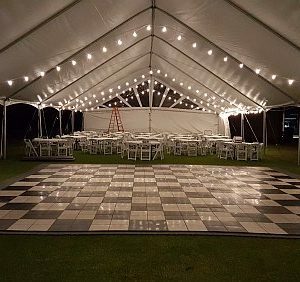 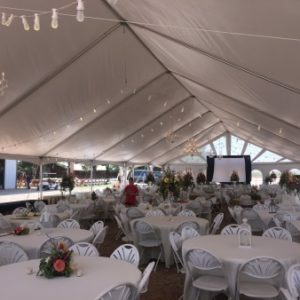 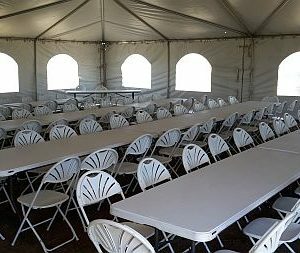 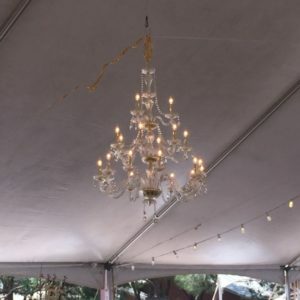 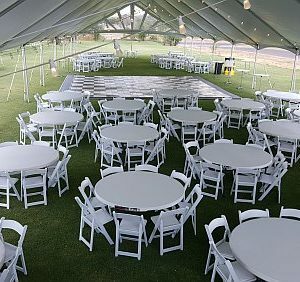 Our 40-foot-wide frame tents are absolutely BEAUTIFUL! 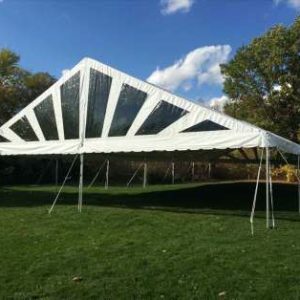 This tent is expandable in 15 foot sections. 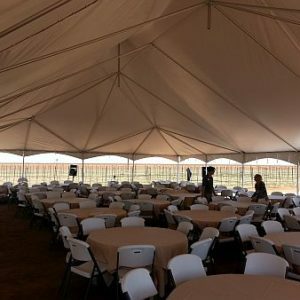 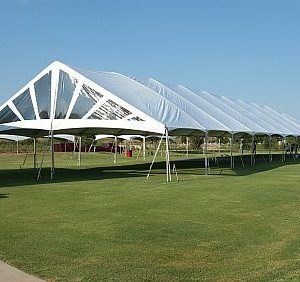 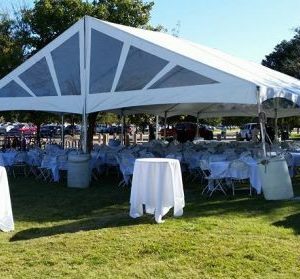 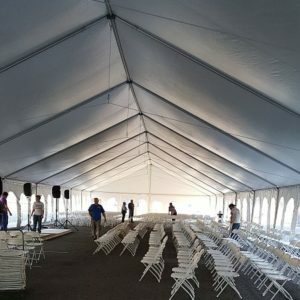 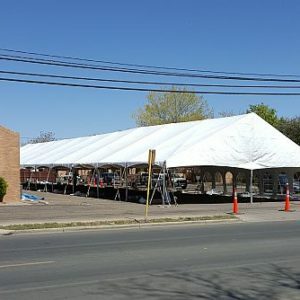 We start with a 40×30 frame and can add sections all the way up to 225 feet long allowing for up to 9000 square feet of covered event space. 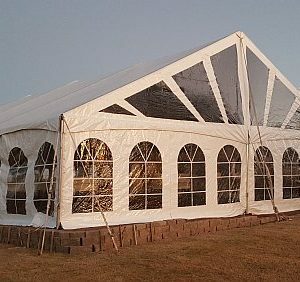 Gable ends can feature solid white vinyl or starburst as shown. 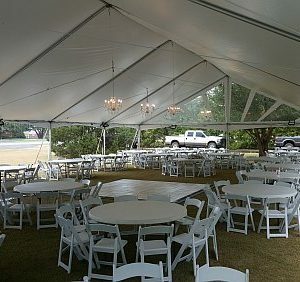 For starburst ends please add $50 to any size tent. 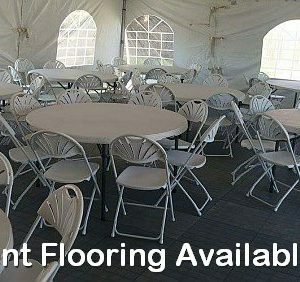 Additional fees will apply for these types of setups.